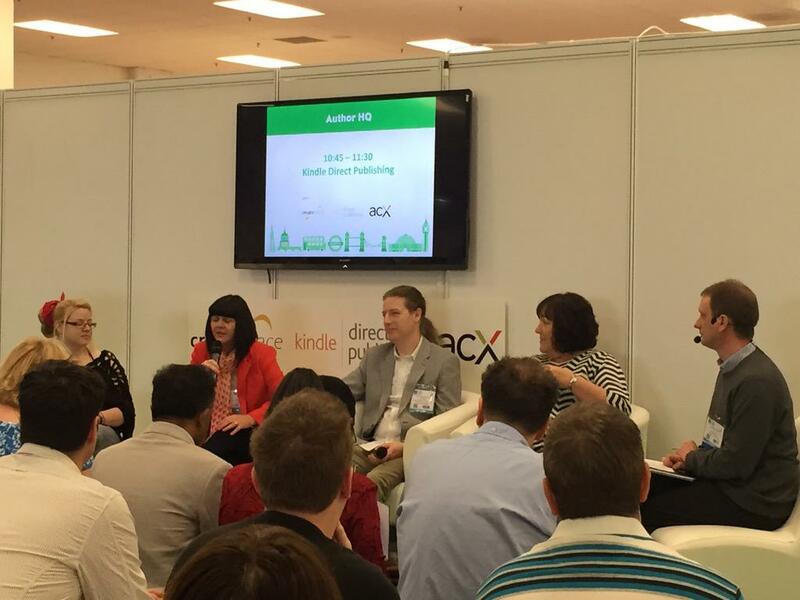 Despite a head cold and losing my voice once or twice I survived the London Book Fair! 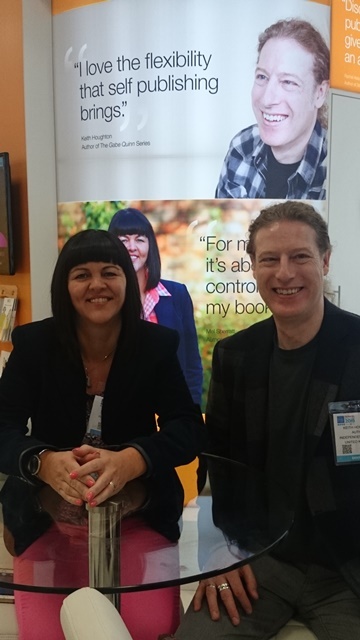 Held over three days at the very impressive Olympia in London, the Fair focused on everything book-related – from humble indie authors to global publishing giants. Everyone in the industry was there, promoting their newest catches and pitching their trades. 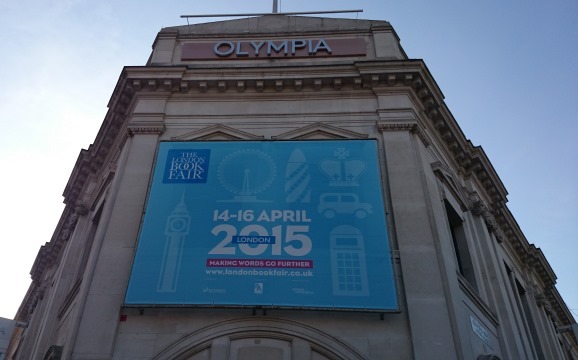 Hundreds of exhibitors selling their wares to thousands of visitors every day. 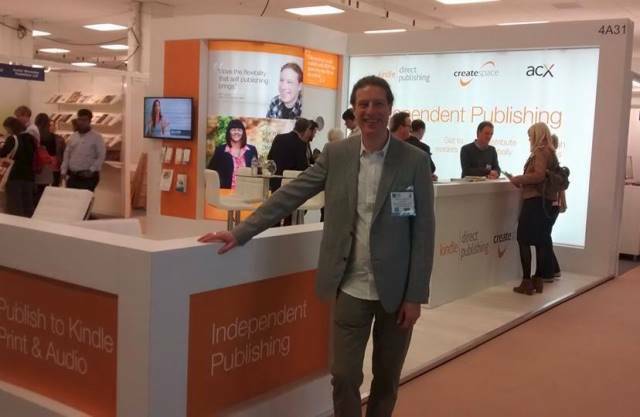 I attended as Amazon’s guest, to take part in panel discussions and to provide self-publishing advice to anyone interested, together with fellow crime writer Mel Sherratt and fantasy author Stephanie Hudson. Each morning we took part in a 45-minute sit-down-and-talk Q&A session, hosted by the Head of UK Kindle Direct Publishing, Darren Hardy, to speak about our experiences in the self-publishing arena – from our shaky starts to our successful strategies, in front of a mixed audience of around 200 people each day. 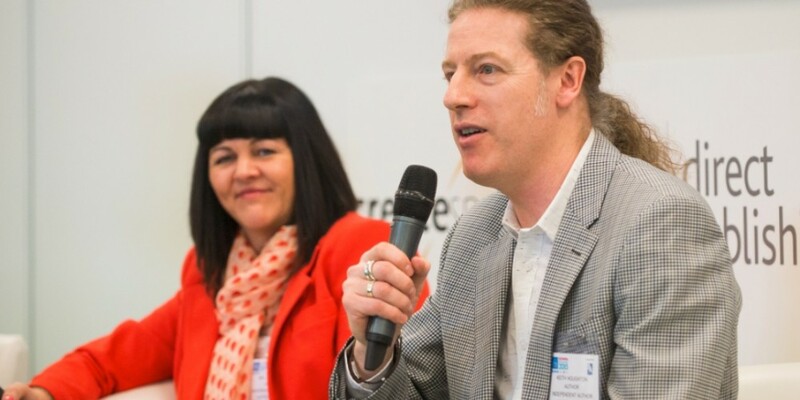 And each morning we were joined by a guest panelist: Mark Dawson, UK crime writer on day one; CJ Lyons, US medical thriller novelist on day two; and Rachel Abbott, UK thriller author on day three. On the microphone, we got to speak about our adventures in self-pubbing, including specific events and key moments that helped shape our independent careers. Plus, we got to hand out useful tips or tricks that we’d discovered along our own journeys. 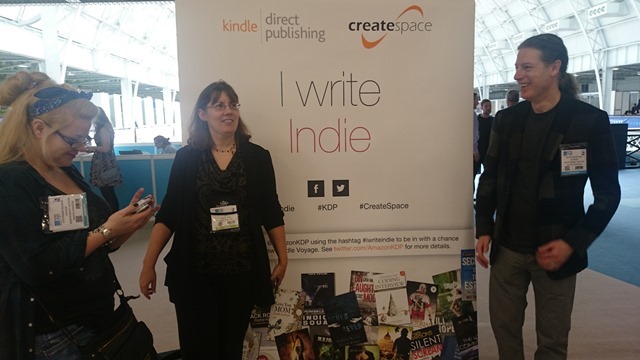 Then, for the rest of each day, we populated the Amazon booth, being bombarded with questions from one indie author after another, all on a one-to-one basis, and all a great deal of fun. 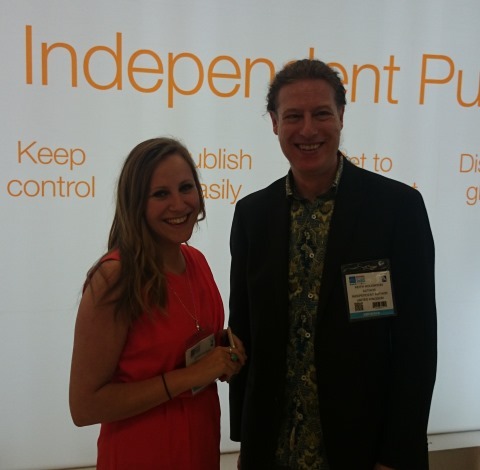 We talked mostly about Kindle and what the formula to success was (there isn’t one! ), but it didn’t stop everyone from asking! While I was there I met some really nice people. Some cool people. Some really motivated people. 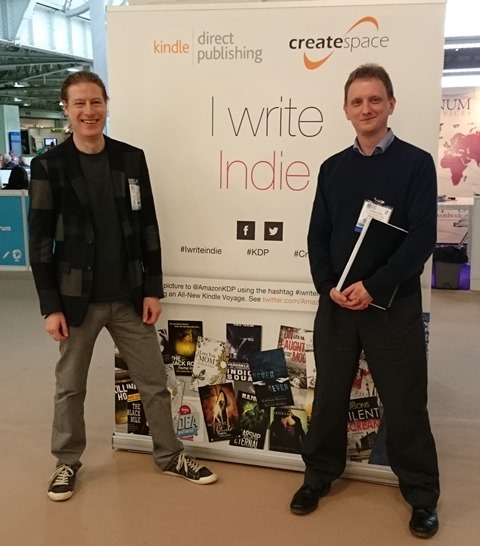 Fellow writers who were just starting out on their journey, and those who had already enjoyed some success and were looking for new ways of creating fresh revenue streams. 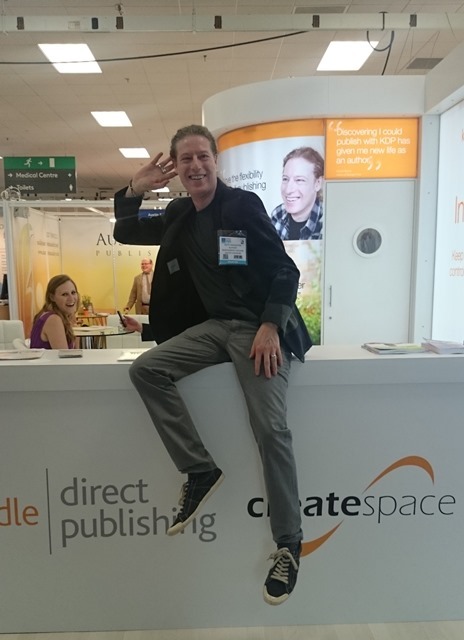 This gave me a chance to talk about my experiences with CreateSpace (Amazon’s self-publishing print-on-demand print book service) together with ACX (Amazon’s eBook-to-Audiobook exchange service and Audible). So it wasn’t all about the Kindle and how to get to the top of the charts (not all the time, anyway!). It was also a great opportunity to catch up with some of my author buddies who had showed up to check out the fair and to give me a little heckling from the back of the auditorium (thanks, fellas!). 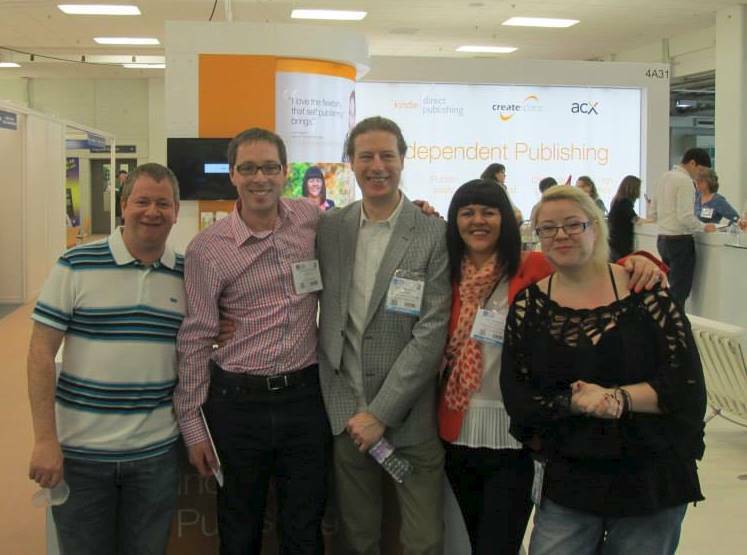 The Four Kindleers reunited: me, Dave Leadbeater, John Paul Davis and Alan McDermott. We were also joined by our own d’Artagnan wannabe, Paul Pilkington (UK thriller novelist), who supplemented my Lancashire-twang and Wigan humour (since we both hail from the same neck of the woods). 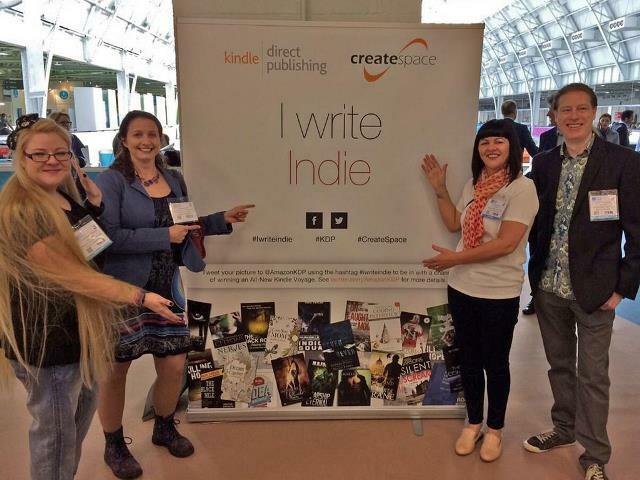 Our role as Amazon invitees was to inspire others, but I came away inspired by those I met. It was a humbling experience to have people come up to me, shake my hand, and tell me that the one golden nugget of advice they’d picked up from me had made their whole trip to London worth it. Amazing. But what blew me away most of all was when a gentleman introduced himself (I missed his name because of all the chatter around us) and told me he was a composer and that my little speech about ACX had inspired him to do something positive with his back catalogue. I only learned later that he was Simon May, the composer of many British TV show themes such as EastEnders and Howards’ Way. What a compliment! Madness. In spite of the exhaustion, I had a blast at the Fair. No roller-coasters, but plenty of thrills and freaks. 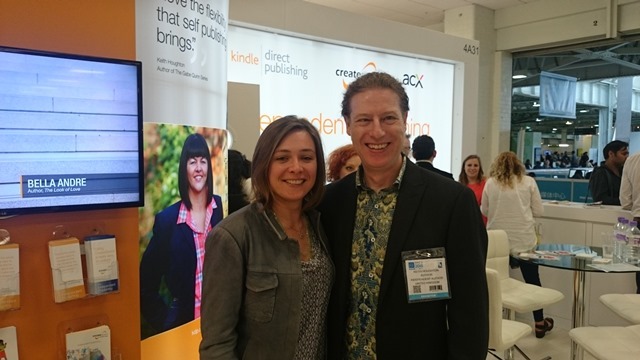 It was lovely to meet everyone again – such as my Thomas & Mercer editor Emilie Marneur and my ACX liaison Sophie Plateau – plus all the those Amazon people I hadn’t met before, including the lovely Eoin Purcell (UK APub Leader) and Jeff Belle (VP, Amazon Publishing). So a huge thanks to everyone in the UK Kindle Team for making it possible and for giving me a pleasurable and unforgettable experience!